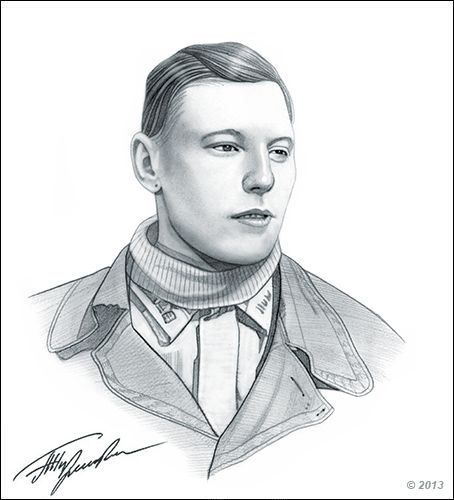 Although Aleksandr Ivanovich Pokryshkin grew up in a poor community, it did not stop him from pursuing his dream to become a pilot. In fact, he did not join his peers in fighting and committing petty crimes; instead, he focused on studying even against the opposition of his father. His school life was not complicated as he finished every course he took and repeatedly excelled in many of them. Aleksandr Ivanovich Pokryshkin grew up in a poor family with a crime infested neighbourhood. He went to school for 7 years to allow him to achieve his dreams. He left home to pursue his dream of becoming a pilot, even though his father was against it. In 1933, he graduated from the school of aviation technicians, and in 1939 from the Kacha Military Aviation School for Pilots. He continued to study and graduated from the M. V. Frunze Military Academy in 1948, in 1957 he graduated from the Military Academy of the General Staff. Aleksandr Ivanovich Pokryshkin was born on March 6, 1913 to a Jewish father who was a peasant before he became a factory worker. His mother was Akseniya Stepanovna who was Armenian. He had a famous brother, Arkhip Ivanovich. Aleksandr was married to Maria Kuzminishna, a nurse, who he met at the frontline. 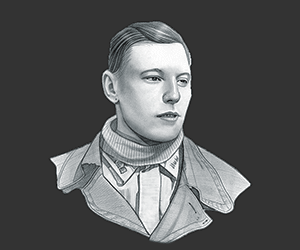 Aleksandr Ivanovich Pokryshkin was named Hero of the Soviet Union on three different occasions. Not only that, but he earned numerous awards. He was one of the greatest tacticians of his time. He single-handedly fought against the totalitarian leadership and defied the combat doctrines that were already in use. He openly disapproved of the official tactics and made new tactics of his own which had raised many eyebrows of his superiors. Aleksandr Ivanovich Pokryshkin died on November 13, 1985 and he was buried in Moscow of non specified causes. Honorary Citizen of: Mariupol, Novosibirsk, Bălți (Moldova), etc. In Novosibirsk, a recovered and rebuilt MiG-3 was painted to reproduce hypothetically his aircraft "white 5". In Novosibirsk, in the native land of Pokryshkin, a bronze bust was erected, and a street has his name. This picture of Aleksandr Ivanovich Pokryshkin is Copyright © June 2014 Siteseen Ltd. We only allow this picture to be used for printed non-commercial purposes and particularly encourage it's use for printed educational non-commercial purposes. This Aleksandr Ivanovich Pokryshkin picture is not in the Public Domain. 3) Use of this Aleksandr Ivanovich Pokryshkin picture, or any of our pictures on websites re-distributing copyright free material is strictly prohibited.